I designed and illustrated these posters, which were part of Mass Effect: Andromeda’s early promotional campaign. I came up with the concept for the project working alongside the game’s art director and senior producer. We wanted to reinforce the game’s theme of exploration and capture a sense of wonder and excitement. 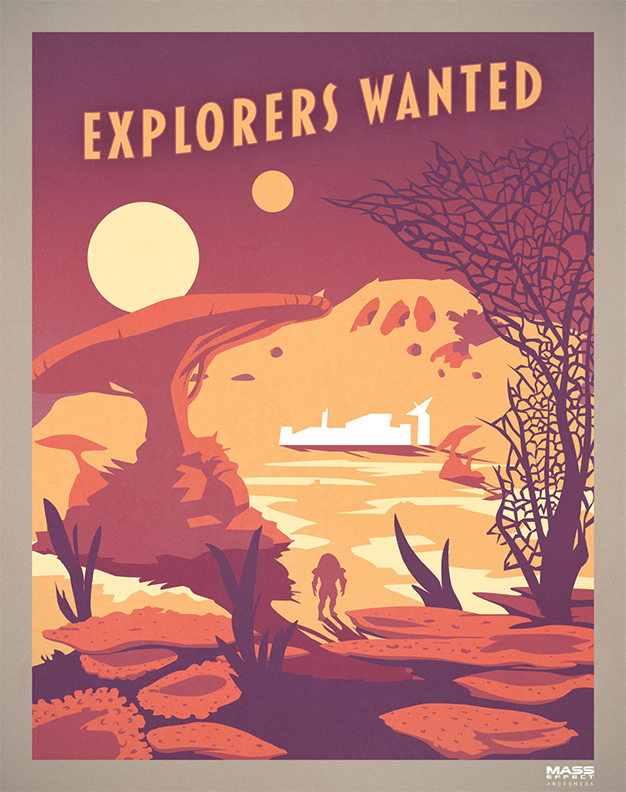 The simple palette and minimalist design was based on vintage travel ads, evoking a feeling of the golden age of sci-fi. Each poster represented a different world and included key elements fans of the series would recognize to promote discussion. The posters were available for download at print resolution, allowing fans to print them at home.